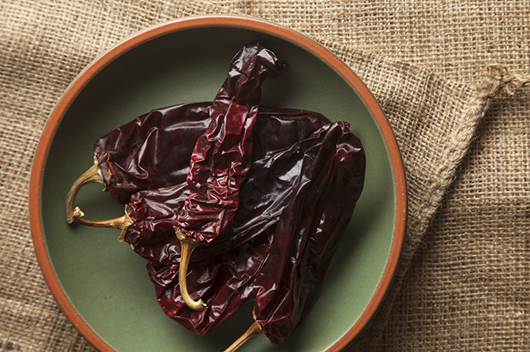 Chiles, both dried and fresh, are the kings of Mexican cooking. They form the base of so many popular dishes: salsas (draped over enchiladas, drizzled on tacos), homestyle guisados (such as pork in green sauce), or special-occasion dishes such as moles and pipiánes. 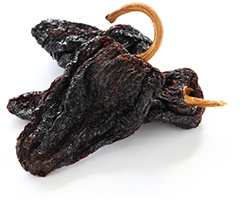 In almost all cases, dried chiles are rehydrated in water and then blended to create a smooth sauce. You can also stuff them, if the chile is large enough. HOT TOPICS Here’s a quick primer on three of the most popular dried Mexican chiles. And one quick tip: dried chiles and fresh chiles always have separate names, even if they’re the same chile.